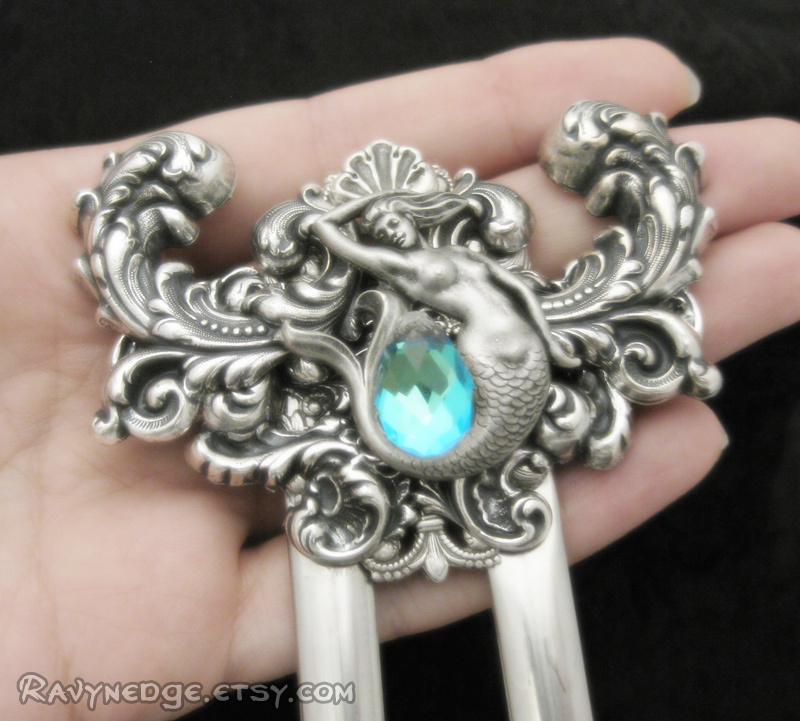 Seafoam Dreamer Hair Fork - Bermuda Blue Swarovski and Silver Mermaid Hair Fork by RavynEdge. 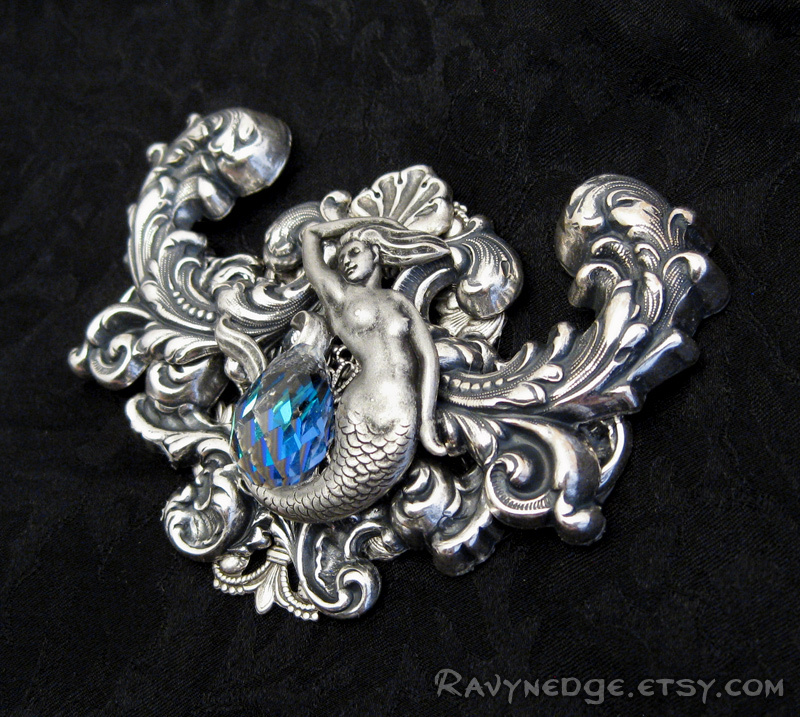 This was a custom creation for a customer with very long hair. 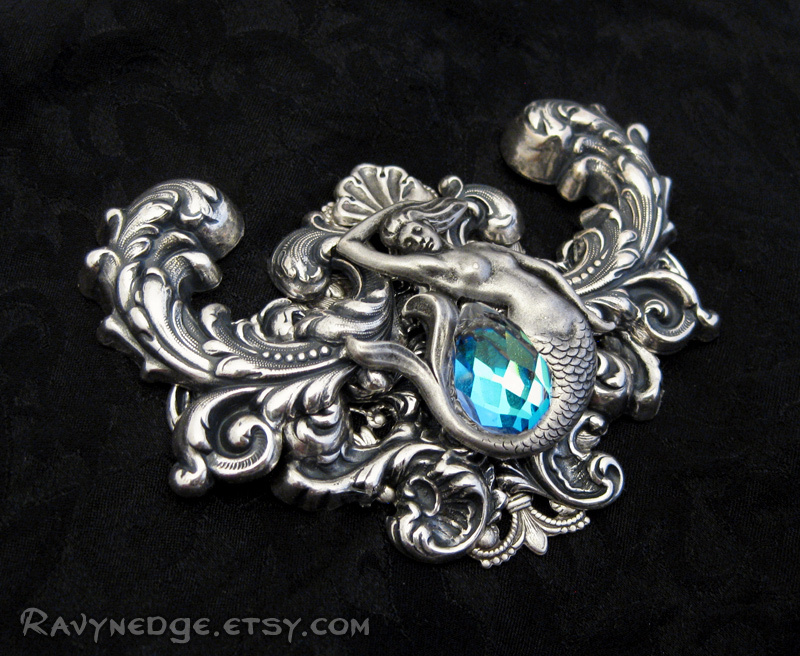 A beautiful mermaid embraces a bermuda blue Swarovski heavy faceted pear in her tail as she floats upon the silver wave crests. 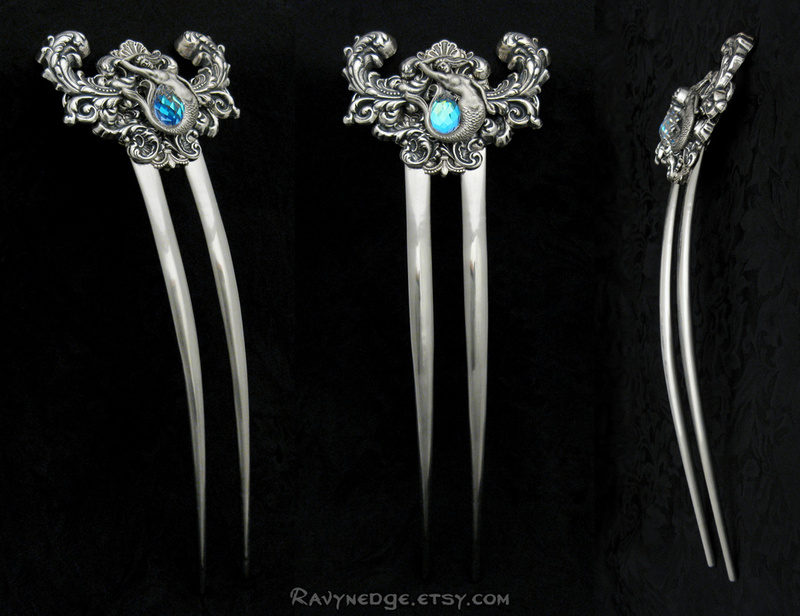 The two pronged stainless steal hair fork has 6 inches (15cm) of usable length. Overall length is 8.1 inches (20.6cm). 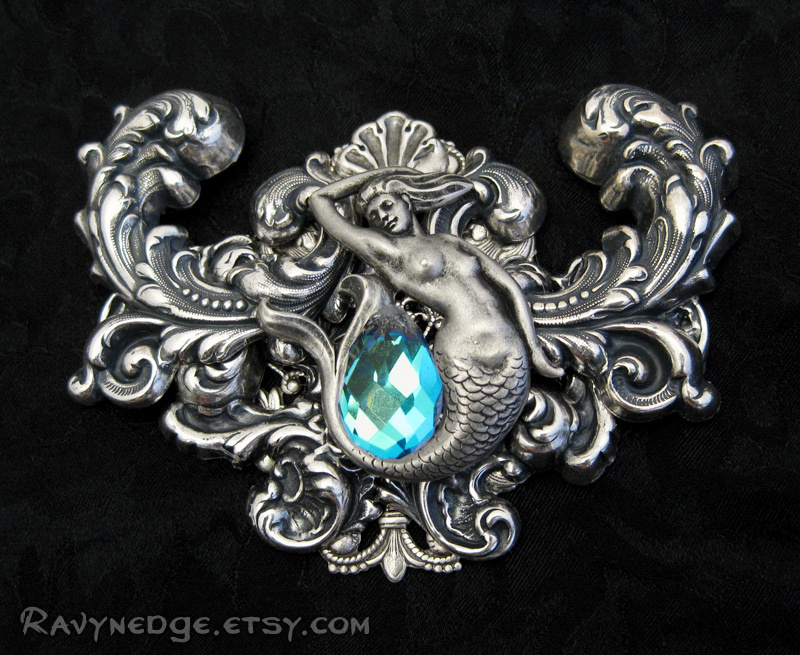 The ornament measures approximately 3 inches (7.6cm) wide and 2.1 inches (5.3cm) tall.